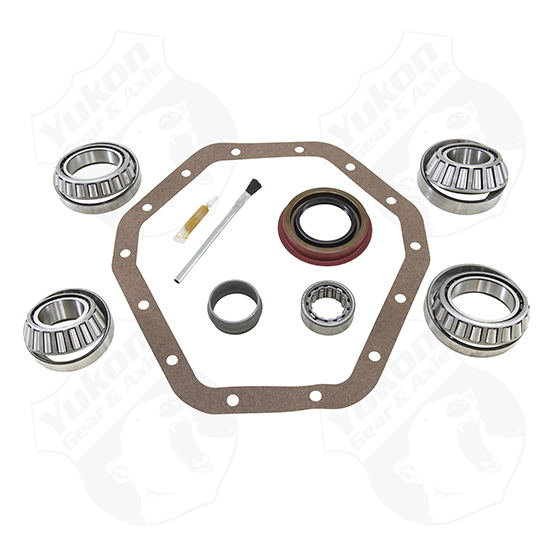 Yukon Bearing installation kits are perfect for shops and builders who have shims on the shelf and are looking to save cost over a Master Overhaul kit. This kit uses Timken bearings and races along with all high quality small parts. Yukon does extensive research for each application to make sure your kit will arrive with all the correct parts you need to install your ring and pinion set. Included are carrier bearings and races, pinion bearings and races, pinion seal, crush sleeve, pilot bearing, marking compound and brush.